There’s a way to enjoy the outdoors without feeling uncomfortable in striking hot temperatures or getting wet when it rains. The solution is simply to use visually appealing and easy to install retractable awnings. Awnings are an affordable solution to stay cool outdoors, dry when it rains, and protected from the sun’s UV rays. 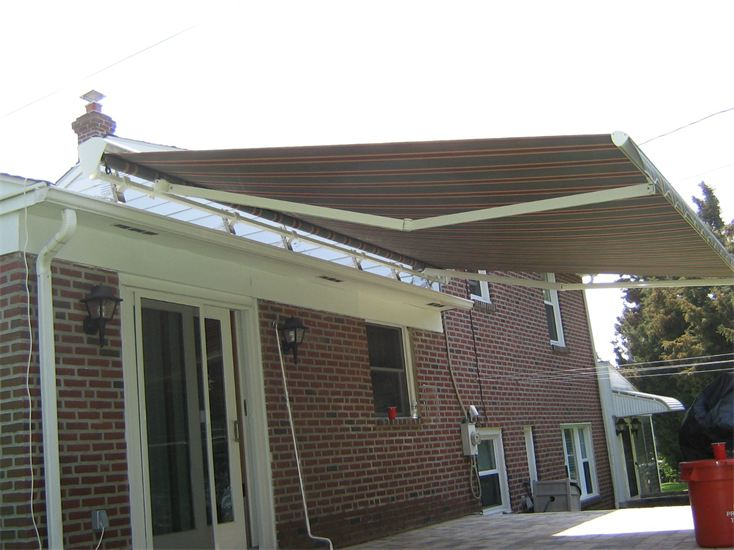 If you’re looking for a way to enjoy the beautiful Pennsylvania summers outside more, consider adding a retractable awning to your front or backyard. They’re even convenient for commercial properties such as restaurants as they provide a more comfortable dining environment. There’s truly no reason not to get one as they provide an abundance of benefits. Here are a few reasons to have a retractable awning installed at your home or business! One of the main reasons homeowners and business owners choose to install a retractable awning on their property is to keep themselves or others nice and cool during the warmer months. After hibernating all winter long inside, most people want to get outside and enjoy all that the spring, summer and fall have to offer. A retractable awning will keep you from being exposed to the sun’s harmful UV rays, providing ample amounts of shade. They can even save you money on your monthly cooling bills by making the inside of your home cooler by reducing the amount of sunlight that comes through your windows. You certainly get what you pay for with a retractable awning. Retractable awnings tend to last longer as they can be rolled up when inclement weather strikes, easily retracted with the push of a button when it rains or when there are heavy winds. Retractable awnings are still durable and made to withstand harsh conditions, but don’t have to with their retractable capability. With today’s ever-changing technology, retractable awnings can even be controlled from your phone or tablet! With the push of a button from your electronic device, your awning can extend when the sunlight moves to hit the west-facing side of your home or retract if it’s raining while you’re elsewhere. It goes without saying that retractable awnings can keep you dry during rainfall. You can still sit outside and enjoy a nice dinner with your family without getting wet or having to taking it indoors. While they can be easily retracted still if the wind picks up or the rain is severe, you can stay dry and still enjoy the outdoors under the protective eaves of your awning. You likely have furniture on your deck or patio. With a retractable awning, you can keep it sheltered from the elements and help make it last for longer. An awning will protect your outdoor furniture from fading due to sun exposure and from getting wet when it rains, meaning that you can enjoy your outside seating or surfaces without worry. If you love spending time outside, call the team at JM Finley to learn more about having a retractable awning installed. We’ll help you live a more comfortable and energy-efficient lifestyle in no time. Get started by calling 610-505-5907 today. How Sturdy Is A Retractable Awning?